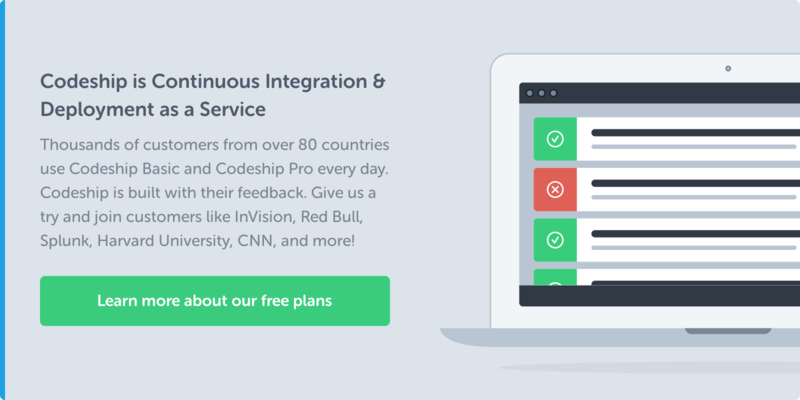 Chris Wolfgang is the editor of Codeship's blog. She has written and edited for the tech world for longer than she would care to admit. Isaiah Belle is a senior technical consultant at Google. This week, we had the chance to sit down with Isaiah to talk about what he looks for in a new hire, the connection between social issues and technology, and what early access to tech means for a child’s future. 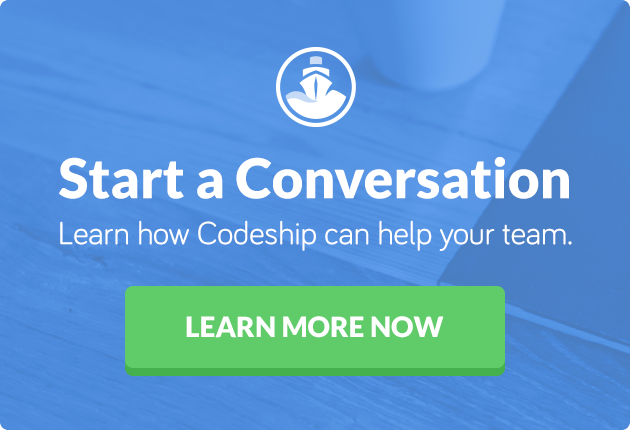 An Inside Look with Codeship is a regular series providing an insider’s perspective on the tech industry. Each session, we chat with some of the most exciting voices in tech and ask them where they’ve been, where they’re going, and what we could all be doing together. You can read all Inside Look interviews here. Your title is senior technical consultant. Tell us what that means. In a nutshell, my job is to make sure that Google’s partners make the best use of the technology we produce. I deal with the ad technology, so my work spans everything from pre-sales consulting to helping out on implementations, whether it’s helping them build a video player to monetize some of the video content, to more business strategy consulting. I work a lot with large broadcasters and publishers who have video content libraries or have live events that they want to monetize. It’s very client-facing. It’s being very hands-on with understanding their technology stacks. You also run a consulting business. How do you manage your time between both obligations? I try to keep busy [laughs]. I’ve been doing consulting informally for six years, and you know, I’ve got two boys at home. It is a balancing act. The one thing that has helped me keep balanced is limiting the amount of actual software engineering work I’m doing. By sharing more of the valuable knowledge as opposed to just rolling my sleeves and diving into code for people, I can provide high-value work that isn’t as time-consuming. I think I provide value in saying, “Okay, before I start quoting you base price for this, let’s get in what you really want to do.” I’ve talked many people out of building a Twitter clone and guided them to putting up a nice, responsive mobile web page instead. What I do in my day-to-day job is consulting on Google’s platform as well as in my individual business is to help people see the questions they’re trying to answer. I try to save them from climbing a ladder only to find out in a year or two that it’s leaning against the wrong wall. That’s what I think the good value is. You were at Huge, a design agency, for four years. That is eons in developer years! What was it that kept you there for so long? In agency years, it’s even longer. When Google came around, it was no small decision for me to leave Huge. But it was at a point where I’d solved a lot of the problems. A lot of the problems had to deal with organization, managing timelines, client managing, client-facing issues. I’d seen a lot of those, solved them, and it became repetitive. The problems we were facing when I left were like, “All right, we solved a lot of these, now how do we do it at scale?” While it was an interesting challenge, the types of challenges I could face at Google were just more appealing to me. As director of engineering at Huge, you were responsible for hiring. What were you looking for in a dev? There were a couple of things. There were what I call ordinary skills, like good communications skills, both written and verbal. You needed to be able to speak about technical issues in a way where — explain it to me like I’m a 2-year old, you know? I need to feel confident, especially if you were more senior, that you could speak to a client and not embarrass me. I will be there to smooth the gaps, pull you back if you get a little in-the-weeds, but you do need to stand on your own and be able to communicate at that level. Beyond that, you had to have core engineering skills. I wanted people who could think through problems and not just have encyclopedic knowledge. The third thing I look for, this to me is very important. There are different developers. For some people, they come in, they do their job, they go home. They’re really good at it, and I respect that. But then you have those other people, who… the problems just eat at them. How did you encourage career growth in your team members? We also looked for opportunities for folks to do things they were passionate about in technology and ways to learn more to better themselves and better their skills. If we found people had other interests outside their current skills set, we put them in a position to do things they were actually passionate about. And what made that easier was the fact that I had a group of people who were always curious about something. You taught for a couple years, as an instructor at Columbia University for underprivileged minorities. What drew you into teaching? I taught at Columbia for a while after I got my masters in education in 2007. Since then, I’ve tried to find as many different opportunities I can to teach both inside of work and outside, most recently with the Startup Institute. I’ve taught a couple courses with them. I enjoy helping people discover new information and presenting them with new ways of thinking. Anything I can do to give people more things to think about, new things to think about. That process of discovery is awesome to me. It’s the same passion I have for consulting, helping people discover what they wanted to do, discover a particular topic they hadn’t talked about before. I enjoy doing that. You seem really passionate about topics that have huge social impact. Are technology and social issues connected for you? Yeah, they are. Technology, for me, is a tool to solve problems in society. That’s what it is. It’s a matter of how big that scope of society is. In some cases, it is very small — technology can make a business operate more efficiently and give them ability to do more for their customers. Outside of the business realm, if technology makes teachers’ lives easier, it makes them better able to educate their children. It’s a tool to solve problems, and it’s a matter of how we direct that energy to the social problems we want to solve. One of today’s big social problems is communication. People don’t speak to each other. They speak past each other. Technology helps and hurts this problem. For example, the ability to truly personalize media allows people to live in bubbles a lot more. But having the ability to discover new information through technology is a powerful tool. A friend of mine is helping out with a hackathon at a high school in Harlem, and he said, “Hey, can you help out?” So I’m trying to bring it into Google to see if folks want to participate and help. There’s a chance for me to connect the technology resource we have here and the people we have here with what would otherwise be only a local issue. There’s a chance to add a lot more resources to the ones they’ve already got. These kids will potentially connect with me and other fellow Googlers, and also learn the transformative value that programming, technology, and software can have on their lives. It’s amazing. If you look at #BlackLivesMatter, look at how they’ve been able to organize. If you look at some of the best information we have about what’s going on in Syria right now, it’s because of people’s Twitter accounts. Like, folks who are not journalists. They’re trying to save their own lives in some of the worst places on earth, and technology is making that possible where these voices might be silenced. Two years ago, folks who might have a nonprofit idea had to make a lot of phone calls and pound some pavement to make money. Now you can go to Kickstarter, and you can in very short order leverage the power of the crowd to raise money and make a difference. There are a lot of technologies and a lot of platforms out there making a difference for folks in this amazing time. How would you describe your own coding education? I broke a lot of things, when I was young. I broke a lot of stuff, and then I put them back together. When I started doing the putting-it-back-together, my mom started to take notice. When they saw that I had a knack for electronics and computers, my parents gave me the opportunities to do things with them. I got involved in programs in high school; Philadelphia Futures is a great program in Philly, a scholarship program for inner city kids to help them get into college. By the time I was a senior in high school, I knew I wanted to do something with computers, and I knew about science. I was going to go to school, discover some new protocol, and then write some great models to prove some theorem. I took freshman physics, and I realized this is really hard. I like math but not that much. A lot of good people invested in me and saw a potential where I wasn’t as focused on things. I’ve had people to help me along the years focus me and guide my career. Even now, one of the things that I like about teaching is my ability to help people do that. I want to help young folks, the young engineers who are coming out of school trying to start their career or high schoolers, or younger kids who want to discover what you can do in the tech industry. I love being able to help them with that process and journey. So many people did that for me. How would you encourage a young person who’s thinking about a career in tech? I would say if can think about a career in tech, think about the resources that you have in your life. And that can be difficult. For certain people, it’s as easy as asking your teacher to talk to the right people, or asking your mom and dad to take you to work with them, or asking your dad speak to the IT person at his job to try to get started. For people who may be middle class or upper class, that’s an easy in to getting exposed to people that are actually doing the job. And if they’re not as directly connected to somebody who can help them start learning about the industry, try to read as much as you can, start finding out about the jobs that are out there. Start taking advantage of the self-directed resources that are out there to learn. And a lot of these young kids are going to know more about this stuff than their parents at a certain point. Most of their parents have blue-collar jobs or jobs that are not in tech, and they’re not going to know much about it. These kids are going to become more informed quickly, but they’re still going to need their parents’ resources. They need to know what to ask their parents to do for them. The more you can get them to a point where they know what to ask for, what sorts of things will help fuel that need and answer their questions for them, the better. They have the curiosity but they don’t know that is something you can translate into a career. You need to lower the barrier to access to resources and information and encourage them to start exploring. Once you have that skill, the ability to research and learn something and share it with other people, you have something that will keep you fed as an engineer or developer for life.